The location was in my house in Bethesda, Maryland using the red kitchen counter top as the background. The "Take It!" 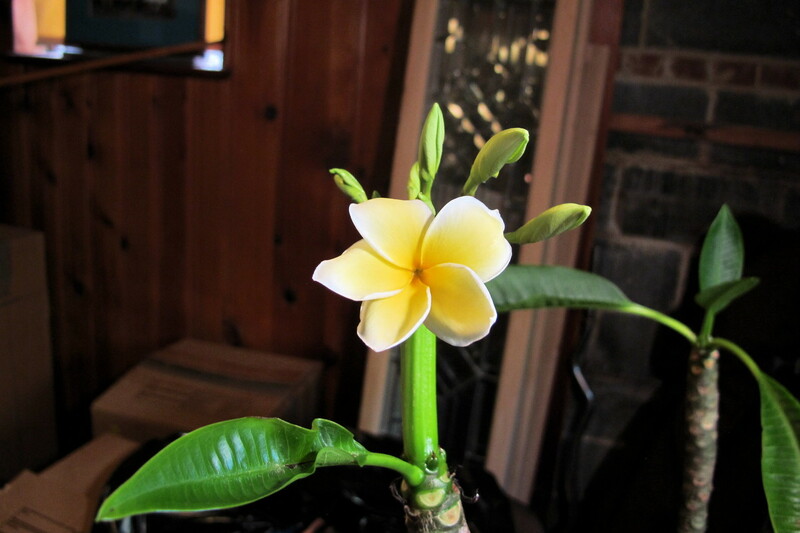 was an easy decision as this is one of the flowers that bloomed on one of my very own Plumeria trees that I keep in the basement under a grow light all winter until it gets warm enough in the summer to take them out on the deck. I brought back the cuttings for these treasures from Hawaii about 10 years ago after one of my several visits to this wonderful bit of paradise. 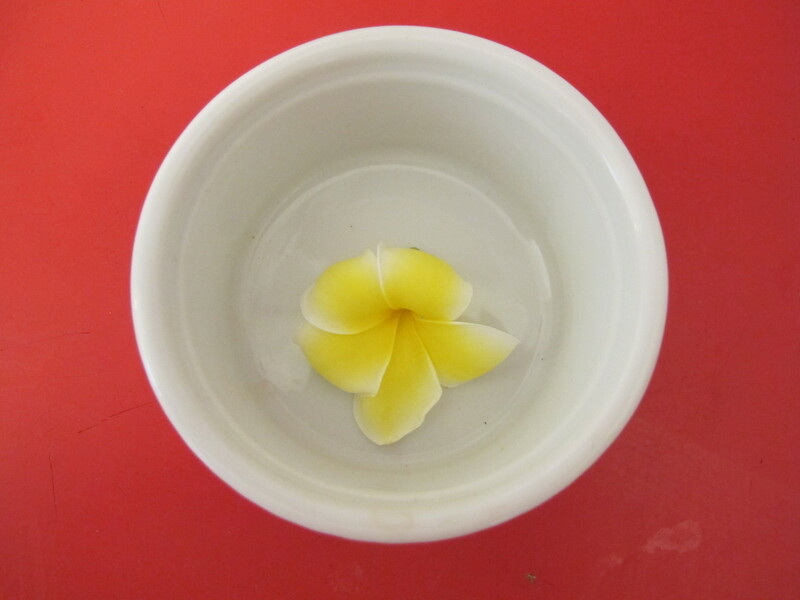 The flower is ultra fragrant and is one of the main ones used in the making of lei's (that flower arrangement that is strung into a wreath and placed around the neck of lucky participants on festive occasions). The other flowers that are included with this bring additional color and scents to the delight of the senses. The After Take: These trees only bloom at my house on rare occasion (every 5 yrs). I sometimes think I will donate them to one of the local Arboretums, but then, they do their blooming thing - and I realize, I cannot let them go. The individual flowers when they bloom are placed in the little dish in order to semi collect the fragrance and permit the enjoyment of it by lifting the dish with the flower up to ones nose for the occasional whiff of this ever so enjoyable scent. To say it brings back memories is a huge understatement for while it has been a few years since my last visit, I can never get enough of that wonderful place. I am in hopes everyone has the opportunity to visit this jewel of our planet. It will be a visit you will never forget. Oh yes! One other very important thing, please make certain to make your visit with the company of someone that is very special to you. What a gorgeous color that flower has. I wish I could get a nice whiff of such an enjoyable scent. Sounds amazing! I have one of these beauties as well. They truly are an amazing flower! I'll keep my eye out for one of these when I someday make it to the 50th state. Such beauty, you are lucky to have one that blooms!